You might have noticed in recent years that kefir, kombucha, and kimchi have gained popularity, these products all share one distinct quality (no, it's not that they all start with the letter "k"). These three products have all gone through fermentation. Fermentation is a process done by microorganisms, such as bacteria and yeast, in an anaerobic environment in which they break down a sugar. This results in carbon dioxide (what gives many fermented products their fizziness) and either alcohol and/or an acid. Alcoholic fermentation-when a sugar is converted to alcohol and carbon dioxide. This is how beer, wine and other alcoholic drinks are made. Acetic acid fermentation-follows alcoholic fermentation and results in acetic acid and carbon dioxide. This is how vinegars are made. Lactic acid fermentation-a bacteria converts a sugar into lactic acid. This is how kimchi and yogurt are made. Fermentation has many functions such as adding new flavors and textures to food, extending the shelf life of foods, making some nutrients more easily absorbed by the body, and providing an environment for probiotics to grow and reproduce. 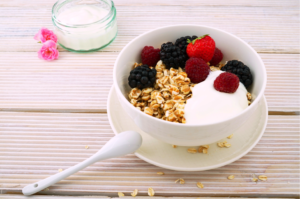 Probiotics are beneficial bacteria that help grow and maintain your gut microbiome, the bacteria in your large intestine that affect many aspects of your health. Why should you try to add some of these products to your diet? 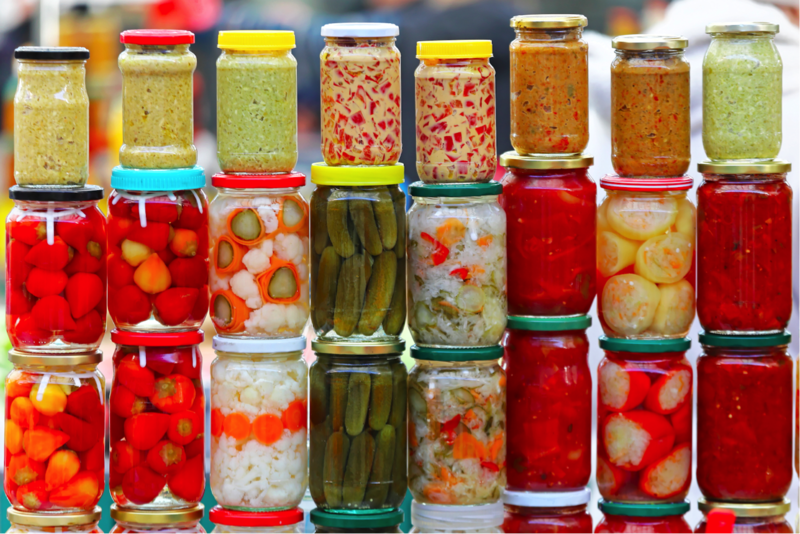 How can you add some fermented foods to your diet? If you are not used to eating many fermented foods, a good way to introduce them to your diet is by adding them to dishes you already eat regularly, like eating your breakfast cereal with yogurt instead of milk, adding pickled vegetables to your salads, or using kefir for your smoothies. Since fermented foods are becoming more popular, you can find most of these at regular supermarkets, however, you can also make your own fermented foods and customize them to your taste. I had the chance to do this as a kitchen assistant at Susie's Kitchen this summer during our Fermentation Revival class. 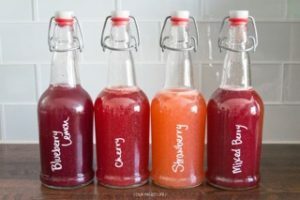 In this lesson, the instructors showed students how to add fermented foods to classics like BLTs and chocolate smoothies as well as how to brew your own kombucha and pickle your vegetables. YouTube Videos: " 'It's Alive!' with Brad"
Author Information: Gracia Dala is a senior nutrition student at the University of Texas at Austin. She is currently in the Coordinated Program in Dietetics at UT Austin and is on track to complete her supervised nutrition practice. This past summer, Gracia assisted in implementation of the inaugural Susie's Kitchen Culinary Nutrition Classes in the summer of 2018 at the University of Texas. Do you want to learn the microbiology and nutritional science behind your microbiome and medicinal foods? Consider learning more about Department of Nutritional Sciences' Online Master of Science in Nutritional Sciences degree from the University of Texas at Austin. Learn about our 100% ONLINE Master of Science in Nutritional Sciences. Now accepting applications for Fall 2019. Check out our latest post on the successes of Susie's Kitchen. 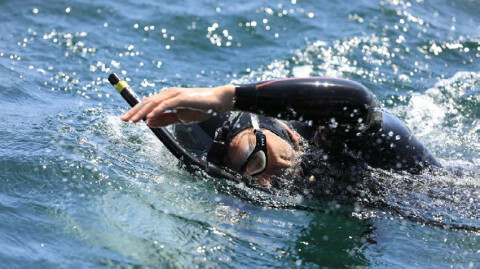 Ben Lecomte is swimming across the Pacific Ocean and the Nutrition Department is part of his journey. Find out more now!